Duratop Epoxy or Even-Flow (EF) polypropylene / polyethylene / poly-resin lab cupsinks are an integral part of the laboratory environment. Used in Fume Hood cabinet / cupboard work bases, or in countertop worksurface / bench topping conditions, cupsinks play an important role in the wet laboratory. size 13 3/4" x 4 1/2" x 5 1/2" (349 x 114 x 139 mm). 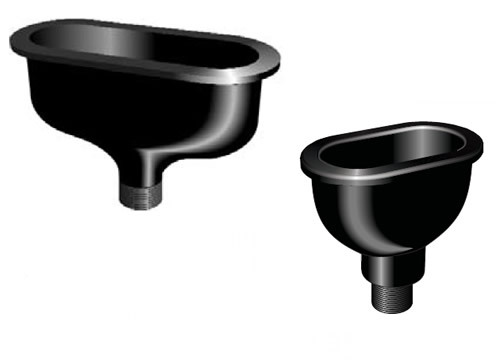 Typical sizes of cupsinks include nominal 3" x 6" or 3" x 9" (76 x 152mm) (76 x 229 mm) oval shapes along with 6" or 8" (152 mm or 203 mm) round cupsinks. 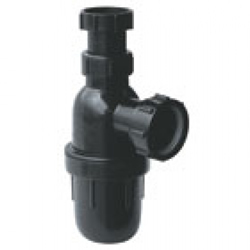 All cupsinks come pre-molded with an integral drain outlet for fitting 1.5" (38 mm) threaded pipe connections or adjustable riser poly bottle traps. 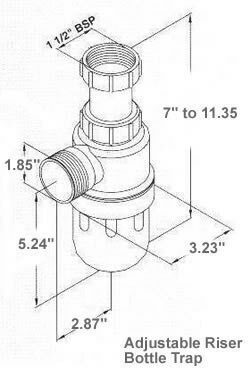 or 3" x 9" (76 x 229 mm) dimension, and nominal round 4", 6" and 12" (102, 152 and 305mm) cupsinks for liquid drain and cleanup. Cupsinks are designed for convenient disposal of liquid waste in fume hoods or on the lab bench top, beit Duratop Epoxy Resin or Resistop or Trespa solid phenolic resin laboratory tops. Flush mounted cupsinks are the most common installation. This installation requires a rabbeted or rebated cutout in the face of the worksurface. The cupsink is installed so that the outer cupsink rim sets flush with the top of the worksurface or slighly below surface for proper liquid flow during spills. It is installed in a bed of Smooth-On color matched epoxy adhesive. Alternatively, oval, round or rectangular cupsinks may be mounted under counter with a through hole cutout of a dimension that is approx. 1/8" to 1/4" (3 to 6mm) less than the inside diameter of the cupsink bowl. Attachment again is with Smooth-On epoxy adhesive. Cupsinks can also be top surface mounted in order to provide a 1/4" (6 mm) high waste barrier around the perimeter of the sink. Top mount (TM) installation requires a simple through hole cutout in the worksurface. Model DER-TM-05 or TS-05 oval cupsink in Epoxy Resin has a raised rim that sits above the surface for containing hazardous spills on the working surface.